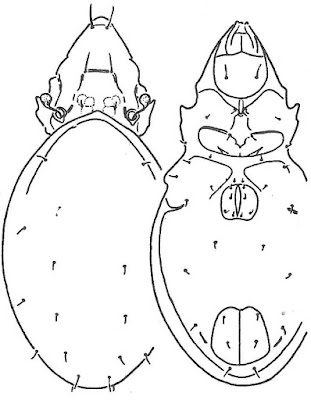 Dorsal (left) and ventral views of Subiasella exigua, from Balogh & Balogh (1992 vol. 2). Subiasella is a genus of oppiid oribatid mites recorded from the Holarctic, Australian and Neotropical regions (Subías 2004). 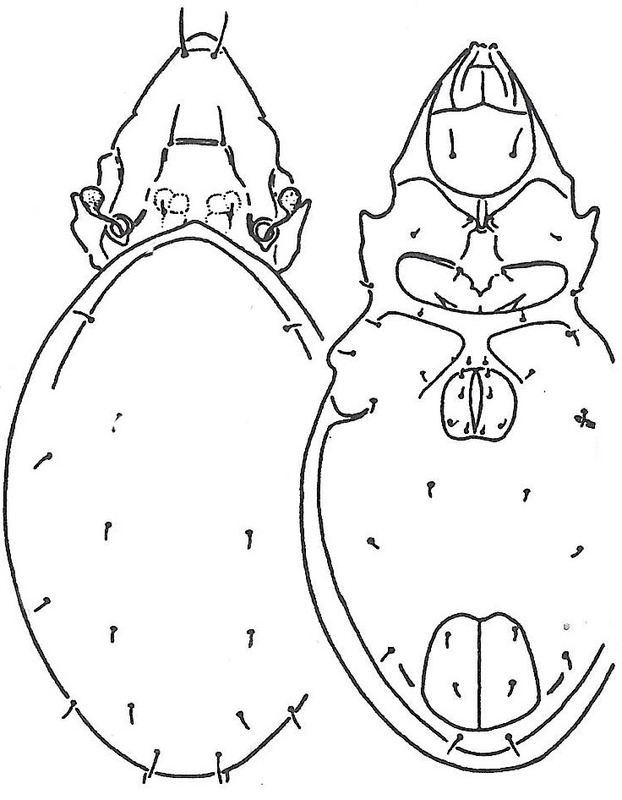 Characters (from Balogh & Balogh 1992): Prodorsum without lamellar crests, at most with lamellar lines; costulae absent; sensillus either globular or fusiform, aciculate or ciliate. Anterior margin of notogaster with protruding humeral processes; crista absent; notogastral setae setiform; setae la far anterior to setae lm.